The MFR of la Tour d'Aigues is a vocational boarding school specialized in Services to People and Territories, sales and childcare. We are located 30 minutes north of Aix-en-Provence in the Regional Natural Park of the Luberon. The MFR are private associations – under control of the Ministry of Agriculture & Education. 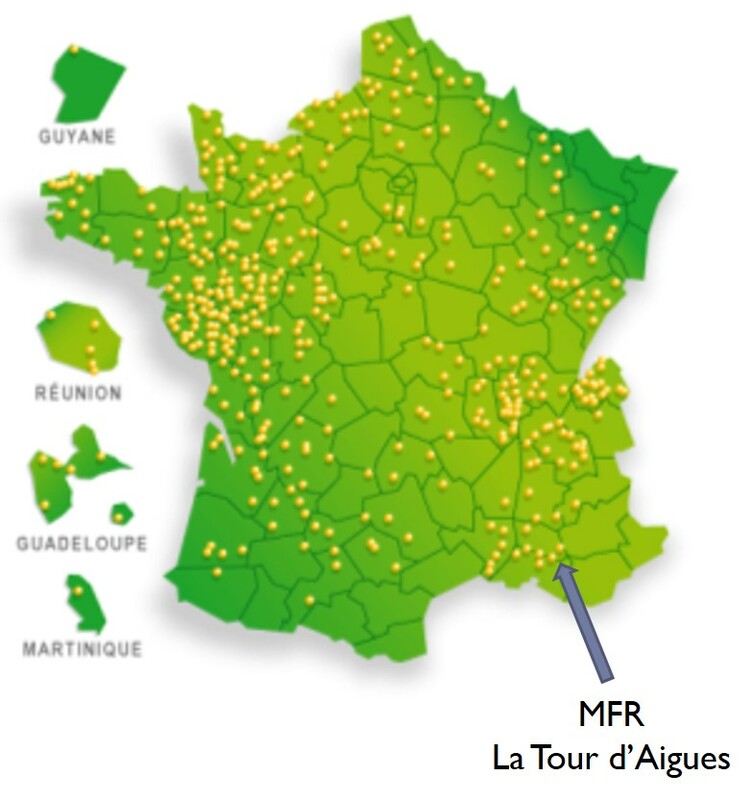 There are 1000 MFR’s worldwide (450 in France), all located in rural areas. The MFR's ambition is not only to teach abilities and ways of being, but also to teach what citizenship is and a sense of togetherness. We aim to give each and every person the ability and responsibility to make their way in the adult world - with the ability to transform the world to build a more united future. Welcoming students from 15 years old, our educational system enables students to alternate professional training periods and time at school. The school ensures full boarding, and organises collective activities (cultural, physical…) so that everyone works with one another. Staff have a double mission of educating and teaching : the emphasis is on learning life skills and social responsibilities. 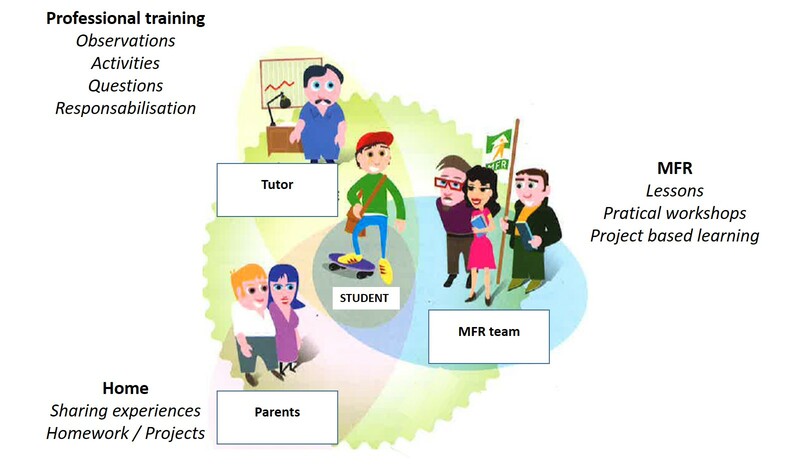 We actively work with the local community to ensure full integration of the students once they leave the MFR. We propose international mobility programs and training courses in the belief that being open and aware of the wider world is an important foundation for the future that our students will build. We also enjoy welcoming foreign students at the MFR or helping them to find placements with our local network of companies.